It’s almost upon us. Sleep in the Park will see more than 12,000 sleep outside to raise £4 million and help end homelessness in Scotland. Organised by charity Social Bite, the events in Dundee, Aberdeen, Glasgow and Edinburgh are being supported by stars including Irvine Welsh, The View’s Kyle Falconer, Lulu, and Eddi Reader. 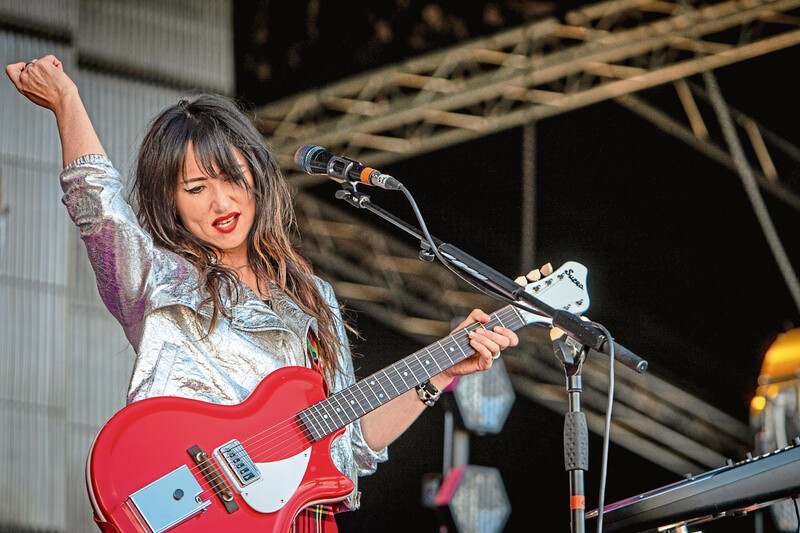 Scottish singer-songwriter stars KT Tunstall and Amy Macdonald will be performing in all four cities. At the heart of Sleep in the Park is a push to raise £4 million that will go towards ending homelessness in Scotland. “Homelessness is such an awful and intractable problem,” KT said. “I live in LA these days, on Venice Beach, and it’s such a huge problem there. I’m so proud to see Scotland tackling it head on. “It’s easy to turn your back but it’s incredibly tough for homeless people, especially at this time of year when it really can be life or death. 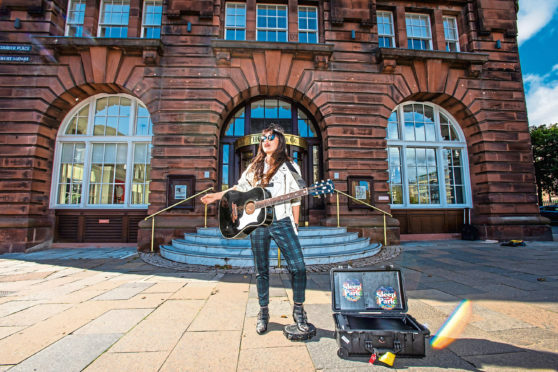 This summer saw KT do an afternoon of busking outside DC Thomson’s headquarters in Dundee to drum up publicity for Sleep in the Park. “It was also outside my old school and it was great to be back in the city,” she explained. “It was a sunny afternoon and we got a nice crowd. “It was much better than my last busking experience in Dundee. When I was young I busked in the underpass on the way to the leisure centre. It was awful. I didn’t make any money and I got moved on by the police. Support Sleep in the Park by clicking here.